There is no other l-number that catfish enthusiasts have argued about more than very attractive L 236. It was in 1997 when André Werner showed the first picture of this species in the German DATZ magazine, using a fantastic picture made by Andreas Hartl. From thereafter, everybody wanted to have these fishes. But only a few specimens were imported and sold for horribly high prices — presumably to Japan. As even L236 is a variable, black and white lined Hypancistrus species, the separation from other similar species like L 066, L 333, L 399 and L 400 is not really easy. The high demand and the variation of this species group have given dishonest people the chance to get high prices for so-called "L 236". 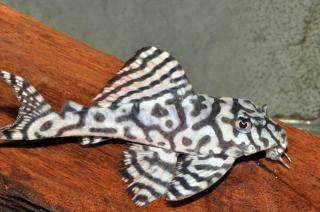 Aberrant specimens and spectacular coloured hybrids were sold as "L 236", because the breeders could earn significant amounts of money from doing this. 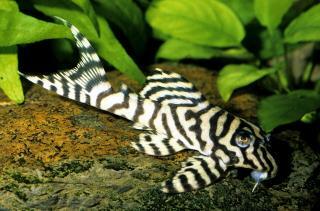 I have never received so many emails for identification of fishes as I have for this species. I was asked so many times if a particularly fish in a particular photo is a real L236 and I could never really give an answer to this question. The first imports of L236 imported by Transfish exhibited at Interzoo 1998. 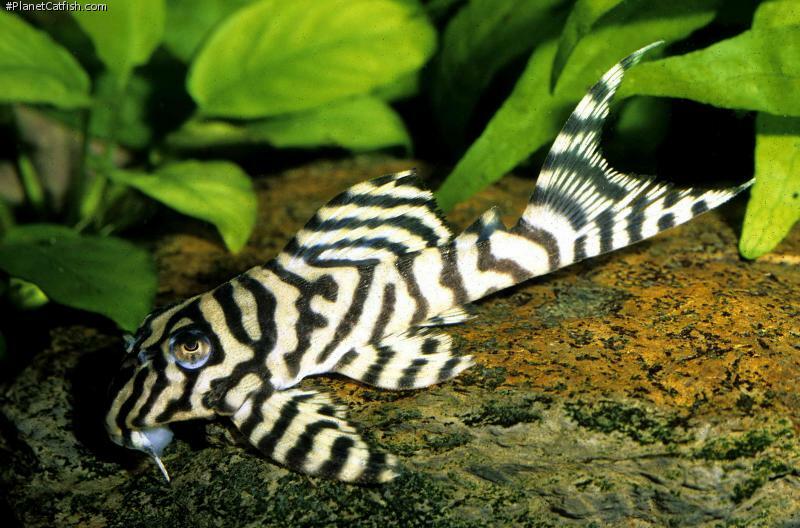 There is still a lot of mystery about this fish. When I saw the first imported specimens of L 236 in May 1998 on display at the booth of the company Transfish at the Interzoo fair in Nuremberg, Germany, all these specimens showed a very intensive white colour with thin black vermiculation. Even up to the present day, breeders see similar specimens from time to time, but most of the breeding groups consist even of other specimens, that are much less attractive. 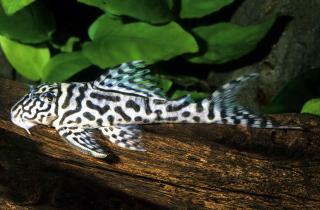 The first L 236 was reportedly imported from the Iriri river, a tributary of the Xingu River (Pará State, Brazil). Later mostly single specimens were only imported as bycatch of other Hypancistrus (L066, L 399, L 400) that came from the Xingu river at Belo Monte. Rumour has it that L 236 lives in very deep water at Belo Monte and is because of this a rare bycatch. But there was a high variety in these imported so-called “L 236”. Many of the specimens might have been especially nicely coloured other Belo Monte Hypancistrus. If somebody wanted to collect together a breeding group, he had to buy these special specimens from different imports. Aberrant coloured L399 or L400, very similar to L236. Nice female of the brood stock of L236 of Robert Budrovcan. For this reason nobody can be sure if these breeding stocks of “L236“ that exist at different breeders are real L 236 or not. We surely have to live with this fact. So we must accept that the nice L 236 that some enthusiasts breed are perhaps a product of hybridization. 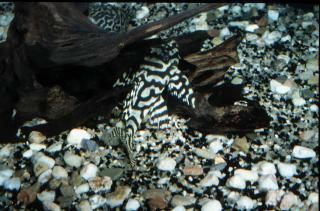 But we have the same problem with the common Ancistrus and in this species that doesn´t matter for most. Those who want to buy L236 today I would like to advise to visit the breeder and have a look at the breeding group. If the adults do not show the coloration of L 236, then even pretty juveniles never will and you shouldn´t buy them. In the next two parts of the L236 story Robert Budrovcan and Ernst Schmidt report about one of the nicest brood stock of L 236 that I know. Some of their fishes show an amazing colour. Links to these two articles can be found at the bottom of the species datasheet below. Werner, A. (1997) L236. DATZ 50(6): 349. Identification Typical Hypancistrus body shape. Can only really be confused with L066 and L333. L236 has a white base coloration with black lines. These lines are less numerous than on L066 and L333, they are also thinner. Belly is all white. General Remarks A very beautiful variety rarely seen on stocklists, those seen are line bred from a handful of wild imports. Distribution Introduced in DATZ as being from the Rio Iriri, a tributary of the Rio Xingu Para State, Brazil however it is more likely that the handful of original specimens came from the lower main river channel. Other Parameters Current is appreciated. Feeding Omnivorous. They still prefer meaty food such as bloodworms, gammarus and brine shrimp. Commercially prepared food such as Spirulina tabs are also avidily eaten. Compatibility A good citizen, not especially territorial. References Datz 06/1997, p 349. There are 85 registered keepers, view all "my cats" data.